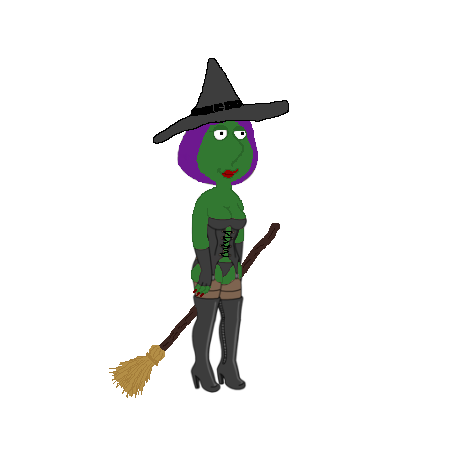 Got all your shopping done? Or gonna try to conquer the Mall Madness the day BEFORE Christmas? Heading to the relatives? Dreading it? Did you get Puppy Brian yet? HE’S SO CUTE N TEENY!!! Gonna get a lump of coal this year? Send us a POST CARD YET? You know we LOVE to hear from YOU! UPDATE: I have been going back and forth with TinyCo on these issues. 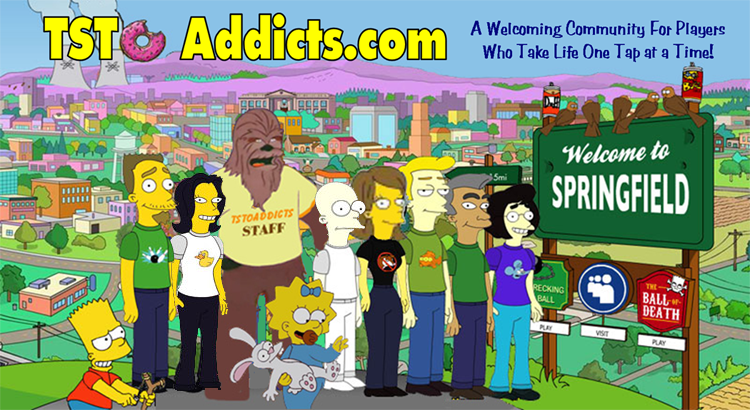 They are fully aware of all the different things going on causing the Pop Up. They are working on way to help fix it. Hang in there. 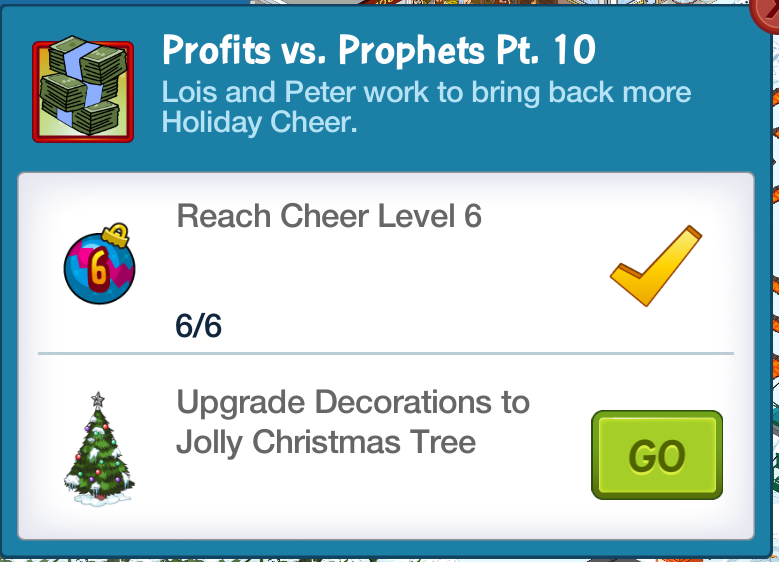 ADDITIONAL UPDATE: For those of you rounding the Profits vs Prophets Part 10, there IS a wording glitch in the dialog. 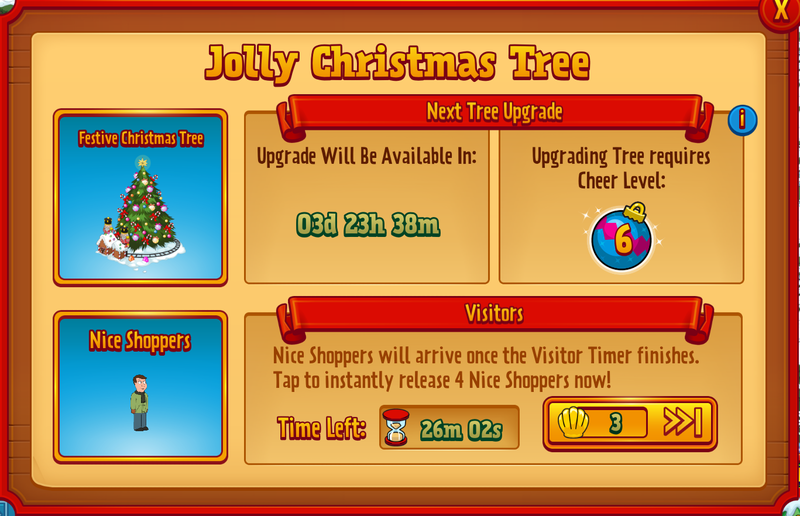 It states to hit Cheer Level 6 and to Upgrade to the Jolly Christmas Tree…however what it SHOULD say is the Festive Christmas Tree, which will be the next Tree Level released. So essentially all players will stop at this point until the Next Tree is released. Bouncing by with some details and info to help out with an issue we see spreading to players. “Upgrade/Update Game”.